Professors points out that the technology is the key factor of companies’ competitiveness. Due to the mass demand of package, the increasing development of coil wrapping machine is astonishing. Professors points out that the technology is the key factor of companies’ competitiveness. Due to the mass demand of package, the increasing development of coil wrapping machine is astonishing. At the same time, the requirement of technology of intelligence, automation, controllability, compatibility is becoming higher and higher for coil wrapping machinery industry. Now we enter a new stage of high speed development, all lines are developing very fast including coil wrapping machinery industry. At present, the world advanced coil wrapping machine are going to set up machine, electricity, gas, liquid, light, magnetic, etc on one machine, which aims to improve the efficiency of the production, recycle the available second-use products, practice the high-tec, and realize the smart operation. This is also the main stream of developing our coil wrapping machine. Currently, the motion control technique is developing very fast, but this kind of developing motion is not as effective as for the coil wrapping machine. Motion control and its technology applied to coil wrapping machine is mainly used to control the product position precisely and realize the synchronizing speed strictly that mainly for conveying, loading and unloading, stacking, etc. The technology of motion control is one of the key factors to distinguish high and low end coil wrapping machine, and is also the technological support of updating our coil wrapping machine. Through the improvement and optimization to make the high end coil wrapping machine nationalized is the basic goal of the development of the future coil wrapping machinery industry. What’s more, through the continuous application of new and high technology and promote, arm and strengthen the overall level of the industry, our country is developing towards the center of the world coil upender, door wrapping machine. 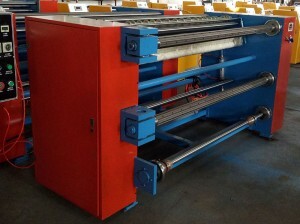 What are the main characteristics of slitting machine? The slitting machine has double frequency converter speed regulating device, with strong control of slitting speed, freely choose the fast or slow speed; the width of slitting film is very precise, synchronically slitting with same width. Perfect structure, stable voltage, long working life. Can be equipped with inflatable axis, simple rolling and high efficiency. Sharp blade, can slit the materials effectively. This machine can load maximum 60 knives in the same time. Design: beautiful, durable, small footprint. Reasonable structure: in line with the human body science, easy to operate. Frequency control: saving energy, reducing failures, any speed. Roller pressure: a new large cross-section thin-film-type cylinder, pressure stability. Steamer: Steam seal combination with water seal. The change, to ensure the real value of the vat dyes. The machines are designed for tubular fabric cutting and slitting. Our automatic stretch wrapping machine started late, which has a big gap between the levels of foreign wrapping equipment. However, in recent years, with the fast development of automatic stretch wrapping machine, our domestic automatic machine has taken the place of packaging initial market of foreign machines. Recently, our automatic stretch wrapping machine keeps continuous innovation that increasingly improves the automatic control and the quality of our machinery equipment. Now our domestic stretch wrapping machine has taken over the initial market firmly. Go abroad, overseas sales stretch wrapping machine will be a new market. With the constantly industrial structure adjustment, automatic stretch wrapping machine also gradually appeared the trend of industrial structure adjustment. Due to the birth of new automatic stretch wrapping machine, those machine by poorly made, large energy consumption, poor technology will be gradually eliminated by the market. Instead, the energy conservation and environmental protection highly automated well-made and function more advanced first line automatic stretch wrapping machine, which are accepted by the market faster. These high-tech products improve the production efficiency of production units. 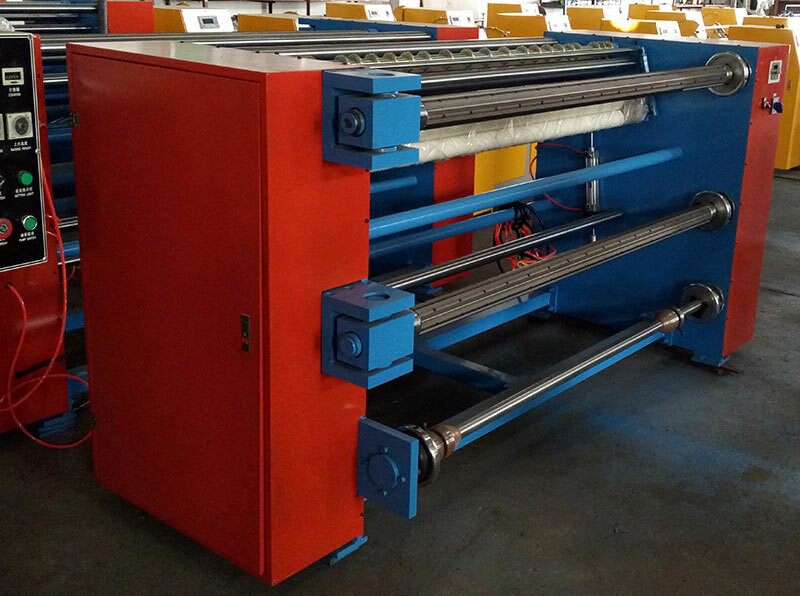 These excellent made, high-tech, and low energy consumption automatic stretch wrapping machine will produce more value and save more energy for the units. It is welcome by the masses of customers. As these automatic stretch wrapping machine production enterprises are also still feel the thrill of new type of automatic stretch wrapping machine. The development of the automatic stretch wrapping machine will be bound to be ushered in new opportunities. At present China’s automatic stretch wrapping machine is developing rapidly and competition is intense. If we want to have a bigger development, it is necessary to exploit overseas market, to seek the new development of China. Now our automatic stretch wrapping machine has the ability to scale with foreigners’, who has a strong competitiveness in the packing machinery market. Though automatic stretch wrapping machine of China to lose on the starting line, now we have caught up with market line running in front of the enterprises abroad due to great struggle. China’s automatic stretch wrapping machine will usher in a new opportunity, at the same time, with the development of a new challenge. To be stable, occupy the foreign markets, China’s automatic stretch wrapper will need to constantly improve it. Precautions when buying a cloth rolling machine? The main points of purchasing a rolling machine are checking the range of applications, machine functions, operating performance, and rolling effect. Application range means what kinds of materials that the machine is suit for, as there are some adhesive fabrics is not fit for using common cloth rolling machine to roll. Operating performance refers to whether the specifications and using methods are simple and easy or not. Rolling effect point to whether the rolled cloth satisfies the demand. Now, I will explain the problems of buying cloth rolling machine, hope this can help those friends who want to buy it. 1. The performance of machine is the most important, so before buying the machine, you’d better to go to the factory to check and try to using it, which makes the bought machine rest assured. 2. It is one of the most trusted things to choose a guaranteed factory with large scale and long history brand. As if the enterprise is no credit, its products won’t live for long time, so choosing the enterprise with decades of history is the best choice. 3. Shopping around is very important, the key point is the machine quality but lower price. The many appearances is not means good, too many parts will increase the rate of break. So the best choice is simple type with pure steel, and just a few key regulators, which has long working life. The feeding device adopts automatic tension controlling system. The drawing and pressing roller adopts flat-push type cylinder roller which can ensure the film not slip. It has waste edge automatic processing device. It has automatic meter counter. The rewinding device has double roller that only one person can operate. Any roller is adjustable freely to correct the horizontal and vertical deviation. In recent years, facing the huge demand for stretch film packaging in food, medicine and other areas, China’s stretch wrapper industry maintained a remarkable pace of development. But higher requirements on packaging of products and intense competition in both domestic and foreign packing machine present new challenges to China’s packing machine industry. Automatic, flexible, multi-purpose, high-efficiency stretch wrapper is becoming the future development direction. For a long time, China’s stretch wrapper keeps less advantage in the international market with its less product variety, low technology level and poor product reliability. At present, China’s stretch wrapper is facing a more broad market; the manufacturers will get impressive development if they are willing to accelerate technological innovation to meet market demand. Third, technology has become the key element of business competition. China’s stretch wrapper industry has a huge development potential, it is imperative to change the status of low-tech, learn advanced technology of the world, develop products with high efficiency and low stretch film consumption, accelerate technology upgrading, and develop domestic and international markets further.